Army men will soon be wearing lightweight helmets thanks to a deal struck by a Kanpur-based defence manufacturer company. BENGALURU: Armymen will soon be wearing lightweight helmets thanks to a deal struck between a Kanpur-based defence manufacturer company and the Ministry of Defence. They will manufacture 1.58 lakh ultra lightweight helmets for jawans. The deal worth Rs 180 crores has been awarded to MKU Industries. The helmets will be nearly one kilo lesser than the old ones and will not contain any bolts. The helmets have the ability to bear the impact of 9mm ammunition fired from short range. They will be delivered to the Indian Army over the next three years in phases. 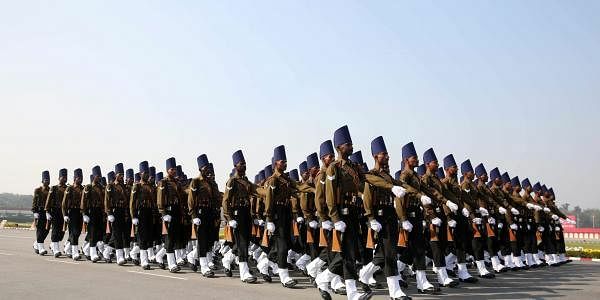 An undisclosed defence report said 26 per cent of soldiers who were killed in the Kargil War died of head injuries. “These new helmets will provide the much-needed safety in conflict situations,” said the source. More important is its endurance during a mission. The helmets are being made using materials free of toxins and allergen. It also doesn’t allow water or moisture retention over prolonged usage, Gupta said.